Conor McGregor faces a daunting return to the octagon when taking on Khabib Nurmagomedov at UFC 229 in Las Vegas this weekend. The Irishman will be back in the same arena where he lost to Floyd Mayweather in the boxing ring, but fighting under very different circumstances. Opinions are divided over whether he can overcome a two-year absence from MMA, but we’re going with The Notorious as a value pick at 5/4 in our McGregor vs Nurmagomedov predictions. Despite the lack of activity, McGregor remains the biggest box-office draw in combat sports, having headlined four out of the six highest-grossing UFC pay-per-view events. The 30-year-old is seemingly fearless and has the natural athleticism to make light of being away for so long. McGregor told UFC 229 Embedded: “I put many of my tools into the toolbox and I left them there when I stepped into that boxing ring. “So I think many people forget the skills I possess. I look forward to coming back out, proving once again that I am the pound-for-pound, number one fighter on the planet. A record of 21 wins in 24 fights features 18 knockouts and that striking strength is where McGregor can hurt a sometimes slow and ponderous Nurmagomedov if able to keep him upright. 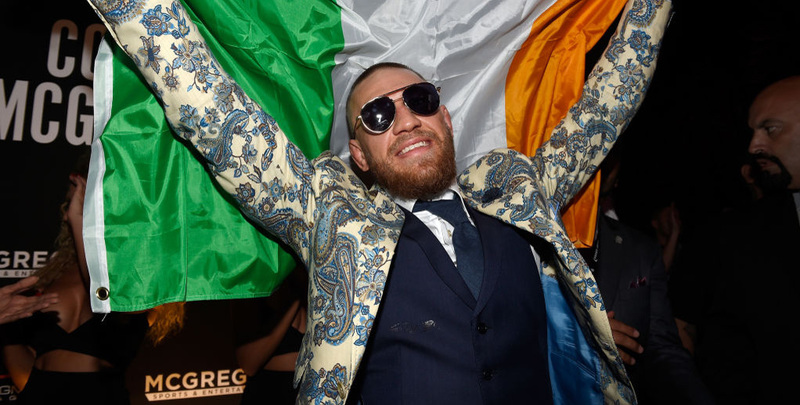 We think the Irishman’s best chance is to blast his opponent away early, so 5/1 for him to win in round one is added to our McGregor vs Nurmagomedov betting tips, as is 81/50 for a KO or TKO triumph. However, the Russian is an excellent wrestler, with the current UFC lightweight champion boasting a perfect 26-0 record in the professional ranks. The 29-year-old claimed his belt when securing a unanimous decision over Al Iaquinta at UFC 223 in April, having previously posted the performance of the night in beating Edson Barboza at UFC 219. Only eight of the Eagle’s victories have come via knockout, with the same number of submissions and 10 decisions. His coach Javier Mendez commented: “We have to fight to our strengths, we have to find ways of opening the doors to where his weaknesses are and likewise. “This is basically the classic grappler versus striker fight. We’re the better grappler, he’s the better striker. All three of McGregor’s defeats have come by way of submission and plenty of shrewd judges believe Nurmagomedov will force him to tap out here, too. That is why the Russian is 13/20 favourite in the McGregor vs Nurmagomedov odds and 5/2 to prevail via a submission, but we’re still going for the underdog’s punching power to prove decisive.